That's what Captain America tells the Incredible Hulk to do in "The Avengers," and that's what the Marvel Comics superhero mash-up did at the box office, smashing the domestic revenue record with a $200.3 million debut. It's by far the biggest opening ever, shooting past the previous record of $169.2 million for the debut of last year's "Harry Potter" finale. "The Avengers" added $151.5 million overseas over the weekend to bring its total to $441.5 million since it began opening internationally a week earlier. That raised the film's worldwide haul to $641.8 million in barely a week and a half, more than its Marvel superhero forerunners "Iron Man," ''Iron Man 2," ''Thor" and "Captain America" took in during their entire runs. If distributor Disney's domestic estimate Sunday holds when the final weekend count is released Monday, "The Avengers" would be the first movie ever to haul in $200 million in a single weekend. While the number could dip below $200 million come Monday, Disney spent the weekend revising its forecasts upward as business kept growing. "There aren't even words, to be honest. I'm running low on double takes. Every time we looked at a number, it just got bigger than what we could have hoped for in the best-case assumption," said Dave Hollis, Disney's head of distribution. "With this film, this weekend, anything is possible." "The Avengers" started with solid midnight crowds Friday, though nowhere near a record. Then it did $80.5 million for the full day Friday, second only to the "Harry Potter" finale's $91.1 million first day. Revenues held up much better than expected with $69.7 million Saturday, and Disney estimated that the film would bring in $50.1 million more on Sunday. The record weekend was the culmination of years of careful planning by Marvel Studios, which has included teasers for an "Avengers" dream team collaboration in its solo superhero adventures. Directed by Joss Whedon ("Buffy the Vampire Slayer"), "The Avengers" features Robert Downey Jr. as Iron Man, Chris Evans as Captain America, Chris Hemsworth as Thor, Mark Ruffalo as the Hulk, Scarlett Johansson as Black Widow, Jeremy Renner as Hawkeye and Samuel L. Jackson as Nick Fury. A $200 million total for every movie in release is considered a great weekend for the business as a whole, so "The Avengers" redefines the standards for a blockbuster debut. "If 'The Avengers' is any indication, we're going to see a leap rather than a gentle little nudge into new territory, and the lineup is there to justify it going forward," said Greg Foster, chairman and president of the huge-screen IMAX cinema chain. Crowds were so anxious to see the film on IMAX's giant screens that Foster said the company had only one problem: it ran out of seats to sell. Overall domestic revenues came in at $248 million, climbing 49 percent compared to the same weekend last year, when "Thor" opened with $65.7 million, according to box-office tracker Hollywood.com. "The Avengers" accounted for four-fifths of the weekend's domestic receipts. Hollywood launched a potentially record-shattering summer with a vengeance, "The Avengers" landing as just the first of three huge superhero tales that highlight a lineup filled with other blockbusters in the making. "The Amazing Spider-Man" follows on July 3 and "The Dark Knight Rises" wraps up the current Batman series on July 20. Until the "Harry Potter" finale, 2008's "The Dark Knight" had held the revenue record with a $158.4 million debut. Before that, the record-holder was 2007's "Spider-Man 3" with $151.1 million. So anticipation for those two films could rival that of "The Avengers." As admission prices rise, Hollywood's record-breakers often take in more money but sell fewer tickets than previous blockbusters. But "The Avengers" took in so much money that it's the undisputed champ among debuts. Based on average admission prices the years they were released, "The Dark Knight" and "Spider-Man 3" had led with about 22 million tickets sold each over opening weekend. 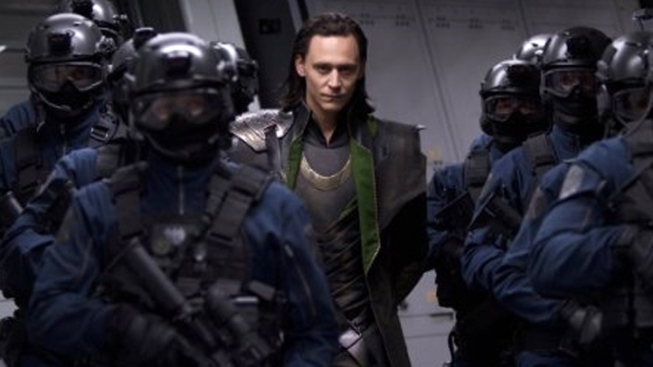 Today's average prices put "The Avengers" tally at around 25.6 million tickets sold. Along with the superhero films, Hollywood's summer lineup includes the action tales "Men in Black 3," ''G.I. Joe: Retaliation," ''Battleship," ''Total Recall" and "Prometheus," director Ridley Scott's return to the sci-fi territory of his horror hit "Alien." Big family fare includes the animated adventures "Brave," from "Toy Story" creator Pixar Animation, and the sequels "Ice Age: Continental Drift" and "Madagascar 3: Europe's Most Wanted." The comedy lineup features Adam Sandler's "That's My Boy," Will Ferrell's "The Campaign" and Sacha Baron Cohen's "The Dictator." "'The Avengers' kicks off what looks to me to be the summer box-office equivalent of the 100-year flood," said Hollywood.com analyst Paul Dergarabedian. "This is perhaps the most perfect summer lineup in box-office history." 1. "The Avengers," $200.3 million ($151.5 million international). 2. "Think Like a Man," $8 million. 3. "The Hunger Games," $5.7 million. 4. "The Lucky One," $5.5 million. 5. "The Pirates! Band of Misfits," $5.4 million ($2.6 million international). 6. "The Five-Year Engagement," $5.1 million ($2.3 million international). 7. "The Raven," $2.5 million. 10. "The Three Stooges," $1.8 million.